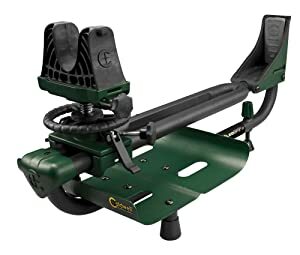 Best Shooting Rest & Shooting Bench Reviews - List in 2019! A shooting rest could be used in different situations. One of the most typical purposes of a shooting rest is to test your gun and its new accessories. After the test, if it has defects, you can fix them with a gunsmith lathe. The use of a shooting rest eliminates all influences and circumstances that can make shooting harder. With a steady shooting rest, you won’t experience any shaking. And your arms won’t get tired sooner than they should if at all. And yes, you can use it for air rifles, but in general, it is not necessary – it doesn’t have a firearm recoil so it’s easy to shoot without a bench. Shooting rest allows you to acquire your target precisely, effectively and with comfort. Your shooting position is very important in the quality of the target acquisition. Shooting rest is used not only to test your new gun accessories, but also to train your shooting skills before practicing more complicated standing positions. It holds your gun solid and reduces possible mistakes of a shooter. Shooting rest also helps you with the adjustment of your position and the optic. It is precisely good for target practice and sighting in the crosshairs. The best shooting rest for sighting in should be steady, reliable, durable and adjustable. Of course, you want to have all the advantages in your item. Let’s start with the features you should pay attention to. You should consider the type of shooting you do when buying a shooting rest. Some of the items on the market are heavier than others, because they are constructed specially for heavy shooting. If you want to take your rest with you on a hunting trip, it’s better to find a more portable one. There are lightweight options that are easy to carry and to assemble. Recoil is the movement of your gun backwards after a shot. Although it is a necessary process in gun functioning, we should eliminate it as much as possible. Recoil not only makes aiming hard, but it can also be very dangerous and injure a shooter, especially when we are talking about an inexperienced one. Protection from recoil is provided by other gun accessories, for example, eye relief in the optic. But when picking the rest for your guns, you might be interested in the ability to reduce the recoil. A good gun rest should reduce recoil at least by 90 percent. To provide a reduction of the recoil, the rest should be stable and firm with a wide surface. Long-term recoil reduction is also provided by a metal coated with foam. Durability of a shooting rest depends on the high quality materials it is made of. The metal construction is a more desirable and reliable option. The rubber feet will keep your shooting rest in place and allow a good aiming ability. You need to be safe while shooting. That’s why a good grip on the surface is very important. A firmly positioned gun has minimal movement even during the recoil. It helps you to aim well and acquire a target precisely. Another safety factor is the storage of the rest. It should be easy to attach and detach. You also want to keep it in a safe place. And it should lock the gun from all undesirable attempts to use it. For example, it should not work, when and if your children find it. Fixed position of a gun in a shooting rest prevents any damage risks. If a rest is too lousy, it can cause scratching of your weapon. The recoil affects not only a shooter, but also a gun. So it is advisable for all contact surfaces to be non-marring to protect your rifle. Adjustment provides the comfort to a user while shooting. A rest should lock any undesirable movement of a gun. At the same time, it should be also flexible and easy in adjustment, allowing you to get the best position. Precise adjustment should be easily made by a fingertip. You might be interested in a rest adjustment that requires no special tools. Such rest is more portable and usable. The best shooting rest for sighting in is the one that is suitable for different kinds of guns, rifles and pistols. High flexibility of the rest is a good investment, because you won’t have to buy another one. So if you have different kinds of weapons, you might want to buy a rest that is flexible and is easily adjusted to different gun types. Caldwell Stinger Shooting Rest is perfectly constructed and provides great functionality together with solid stability. It allows you to reach the best shooting position and firmly locks the gun. At the same time, it is highly adjustable, so you can correct the position easily any time you need. It is characterized by a spring-loaded elevation system which is designed for fast one-handed adjustment. 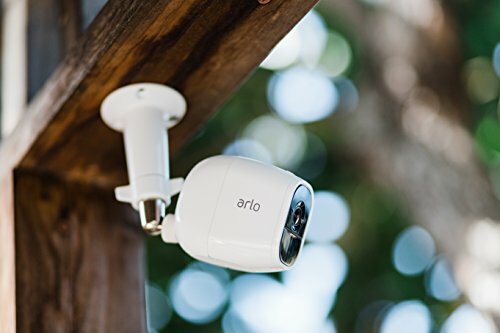 You can adjust it with fingertip control that makes it really easy to use. The rest is generally easy to set up and apply. The front elevation reaches up to 3 inches and the rear elevation adjustment is 1 inch. It is a good range for the target aiming. The target acquisition is provided by fine elevation knob. With Caldwell Stinger Shooting Rest, you will eliminate all the errors caused by environment. The gun’s finish is protected by the cutting edge over-molded front. The front also assures firmness. The Stinger’s front can easily slide forward or backwards. When the desired position is achieved, you can lock it in a place without any difficulties. This rest is flexible and, at the same time, it gives you a steady shooting platform. This rest is perfect for extended magazine due to its construction. The open central channel accommodates detachable magazines and lever action guns. The Stinger Shooting Rest will keep your gun in a stable and firm position on any surface due to the rubber feet. That’s why it is usable in any surfaces you need. The additional convenience and durability of the mechanism are provided by the rigid steel tube frame design. 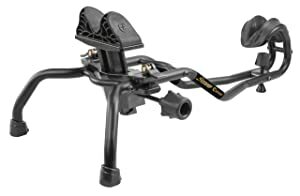 The front rest elevation piece is made of the metal, which makes it extremely reliable and firm. Among all pros of this rest, there is one more undeniable advantage – it is light-weight and compact. You won’t have any trouble while transporting it. It is a good investment, as it fits perfectly to most guns and rifles. You can easily adjust it to the needs of different weapons. 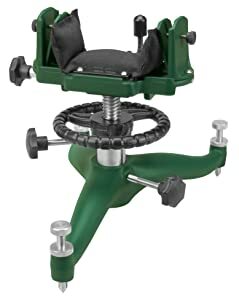 So if you are looking for one of the best shooting rests for sighting in, consider this option. First of all, I need to mention that Tipton Best Gun Vise is made of a high-quality solvent-resistant material, which makes it very reliable and durable. It is extremely stiff and stands up to years of everyday use. So you can maintain and clean all your weapons with it. One of the main features of Tipton Best Gun Vise is its adaptable firearm holding system. You can easily adjust all three supports via T-track. Among the other advantages is capable vertical adjustment. Every component of the item is adjustable, which makes this Vise perfect for cleaning, gunsmithing and maintaining your firearms. It is flexible enough to fit almost all kinds of guns. So you don’t have to buy any other item. All your individual components will be well-placed, because central aluminum channels will allow you to easlity move them. It is important to know that the rear clamp base has two vertically independent adjustable clamp blocks. Every block has a padded jaw and provides easy positioning at different points from the centerline. 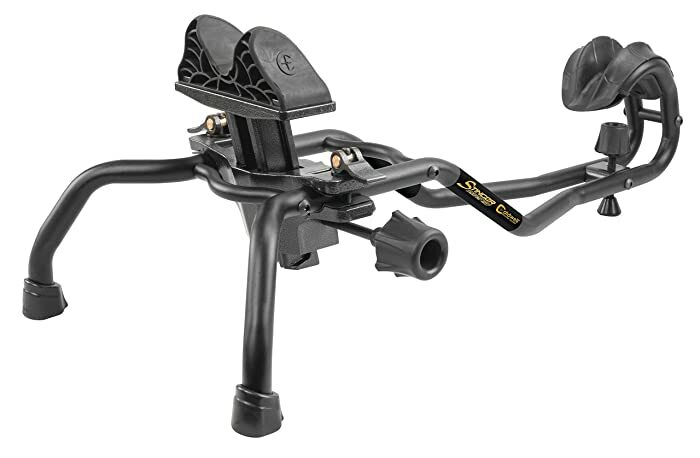 This system makes the rear clamp block very flexible and allows achieving almost any stock configuration. 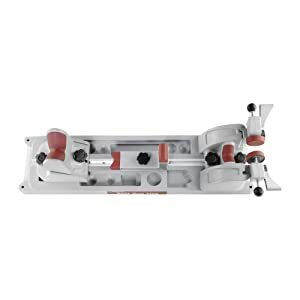 The Tipton Best Gun Vise is perfect for rifle cleaning and gunsmithing. Please note that you should keep the muzzle of the barrel lower than the breech while cleaning most of the guns. This position is easily achieved due to the great design of this item. In addition to that, the grip can be moved along the whole length of T-track. If you need to clean break-open shotgun or any rifle, you should just remove the Forend Upper Support from the Forend Base and secure the Upper Support directly to the extreme end of the Base. Needless to say, the Best Gun Vise works with almost all rifles, shotguns, muzzleloaders, AR platforms and pistols. Such variety is provided by highly adjustable construction of the item. What about preventing the damage and securing your gun? It is protected from any scratching because the contact points are coated with non-marring surfaces. The Tipton Best Gun Vise is strong and, at the same time, it is lightweight and easy to store. It is a basic tool you should have to clean and maintain your guns. Caldwell 336677 Lead Sled features the Dual Frame Technology to provide users with the best recoil reduction system. This is a great advantage to any shooter who is interested in achieving great results and maintaining safety of a user and protection of a gun. It is stiff and holds up to 100 pounds of lead shot. That’s why I can call it one of the best shooting rests for sighting in. The elevation adjustment reaches up to 2.5 inches. It is a good adjustments range for the best position of your weapon. The adjustment fits rifles and guns of almost any size. Therefore, it is a good investment in your target practice and sighting in crosshairs. You can easily adjust this rest for any of your weapons to firmly lock it in a desirable place for the best aiming options. What about the protection of a weapon from damage caused by the recoil? Your gun will be protected from any damage, because the Caldwell Lead Sled has an advanced non-marring shock eliminator technology rear pad. And all the contact surfaces are covered with non-marring coating to prevent any scratching of your gun. The desirable length adjustment is possible due to the ability of the shooting platform to slide the front cradle backward and forward along the dual frame. The stability of the construction is provided by rubber-tipped feet for no-skid support. The rest will hold a steady position at almost any surface you work on. Two front legs are fixed, but there is necessary room for most firearms to cant in the rest. The assembly of the Caldwell Lead Sled is very easy and can be done in a short amount of time. The whole item is solid and sturdy. Another excellent product of Caldwell is The Rock BR Competition Front Shooting Rest. It is a high-quality rest that has been precisely constructed for the highest accuracy in the target acquisition. Whether you are practicing you target acquisition, testing new gun accessories, or hunting, this is a good choice for you. The important feature of this rest is its flexibility in adjustment. Shooters can smoothly correct position with fingertips because of windage-adjustable cradle. It also increases stability of the construction and accuracy of shooting. The horizontal adjustment of the rest helps to resist to the shifts of the wind, which makes it a perfect rest for the shooters who use wind flags. The elevation system features two stages and reaches up to 11.5 inches. The good elevation adjustments are provided by ball-bearing rotational system. The Rock BR Rest features an unfilled 3-lobe front bag for wide forends and a filled Medium Varmint front bag for sporter-style forends. Excellent forend support is provided by the sturdy bag tensioning system. You might be glad to know that any of other Caldwell’ front rest bags could be easily installed. The filled bag effectively stops the entire shake and you get a steady shooting platform with a wide surface. I hope that this article was useful for you and provided you with all the necessary information about the best shooting rest for sighting in. You should remember that a good rest is a necessity for a shooter. The quality comes with the price, but it is a good investment in your future. A rest reduces the negative effects of the recoil for a shooter and a gun, helps precise aiming and is just the best tool for target practice. With a good rest, you can always choose the right position and easily adjust it to your needs. And it will increase the quality of target acquisition. The options I’ve collected for you are all made of high-quality materials; they are steady, durable and reliable. If you are ready to pick your shooting rest, then you might be interested in the right gun patch. Just check out this article about top gun pathces.